Trim the root end from each garlic clove. 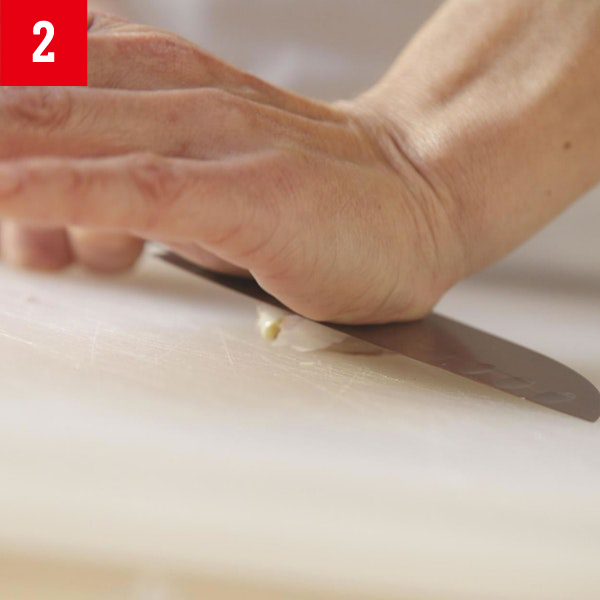 Crush the clove with the side of a knife to loosen the skin. Be sure the edge of the knife is facing away from you. For a very even mince, cut the clove into thin slices first. Then line up the slices in a row so you can cut across the slices. 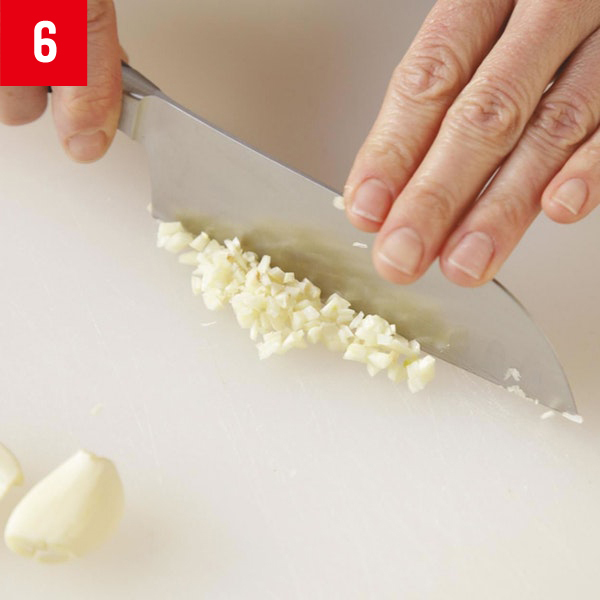 Repeat with all the cloves and finally rock your knife over the chopped garlic until all of it is minced as finely as you want.